This entry was posted in Jacksonian Democracy, U. S. Politics and tagged "America is great because she is good", Alexis de Tocqueville, C. S. Lewis, Christianity, Democracy in America, Eric Metaxas, human nature, If You Can Keep It, U. S. Constitution, U. S. Politics. Bookmark the permalink. Thank you for a wonderful and insightful analysis. Putting this phrase into a historical context has prompted me to think more deeply about the character of America. 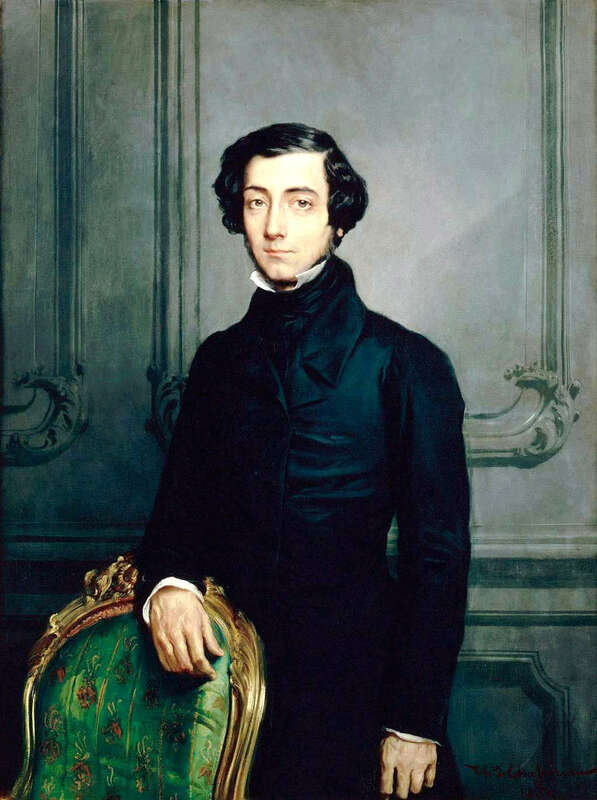 As you have stated Tocqueville as well as the two ministers were well aware of the sinful nature of man, yet they saw something unique in the spirit of Americans. Even though they had no common heritage and were competing to be prosperous they held onto something more transcendent. Some have identified that as God’s grace. I belief that is true. But it may go beyond that. Perhaps they enjoyed God’s favor. “America is great because America is good.” Setting aside all the bad theology and misquoting etc,… May be, those who observed America as being exceptional, “great” was because there was some measure of good will shared among them. When people work together they accomplish exceptional things. In contrast, the current atmosphere dominating American politics is one of alienation, insult, accusation and mistrust. The “Good” as in good will is lacking. Instead of imposing a moratorium on the phrase, how about putting a stop to the vitriolic rhetoric and invoking a spirit of mutual respect and cooperation. If ordinary Americans demanded it perhaps our leaders would begin to model it. Thanks for this wonderful series. For we laymen in the pew, when our church starts a class using some of these premises – in my case, a class about to start based on Amos’ and Richardson’s “Never Before in History” – how do we handle the matter? I’ve got my stack of books by Fea, Wilsey and McKenzie, but I’m not proficient enough in their content to handle all that might get thrown out that’s historically bogus in such a class. Do I ignore it? Sit in and challenge what bits I know are wrong? Be the only guy in there to challenge various statements? This is a wonderful summation of your analysis and it is a pleasure to think along with you on these issues. Especially in this election year so much seems to be at stake and, yet, so much seems murky. Trump wants to make the U.S. great again and Hilliary claims we already are great. No one, of course, bothers to define the term. It can mean whatever we want it to mean. But surely we need to debate as a people just what we mean by “great.” What role do we really want the nation to play in the world and what does “greatness” look like at home? Many people I know are thoroughly discouraged with both candidates and fear the likely courses of their terms in office. A friend of mine makes the distinction between good and great. Greatness is a matter of power and prestige. Goodness is a moral quality. They’re two traits that are often at odds with each other. e.g. Alexander may have been the Great, but he was not the Good. Nor could he be if he was to be the Great.